We have three stunning, historic & very different cities of Seville, Cordoba and Granada a little over an hour away. Closer still, within a 15 minute car journey, we have the beautiful medieval town of Antequera. 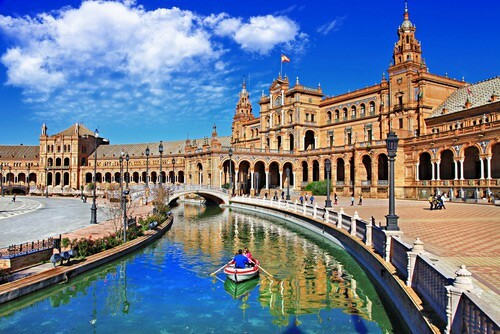 At the heart of Andalusia as the capital is Seville. Nestled on the banks of Guadalquivir River, the only riverside port in Spain, truly steeped in history, art and culture. So much to see and do from a horse drawn carriage ride in the medieval streets of the old town to enjoying the flamenco shows in the many bars & nighspots. With magnificent UNESCO World Heritage site of the Alhambra or El Abaycin to explore, Granada is a must for any visitor to Andalusia. The Sierra Nevada Mountains are the stunning backdrop to this city that leaves a distinctly rich Moorish impression and has a vibrant night life to enjoy. El Albayzin; the Islamic area of the city dating from the 11th Century. 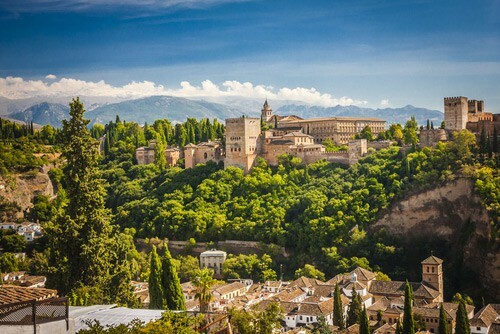 The area retains the narrow winding streets with Arab bath houses and houses of its Medieval Moorish past, and has a superb vantage point to view the nearby Alhambra. 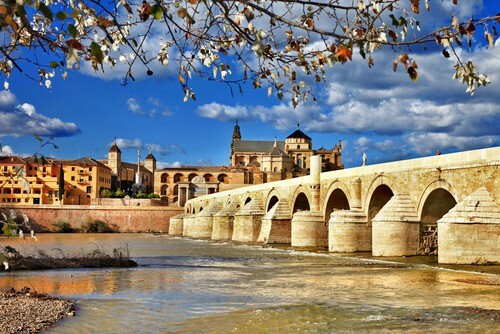 The former Roman capital of Spain, Cordoba is famed for the magnificent Mezquita. The Cathedral has a wealth of history and architecture to explore, with the whole city declared a UNESCO World Heritage site. During the summer months the city is lively & pulsating with lots of ferias from April to June. 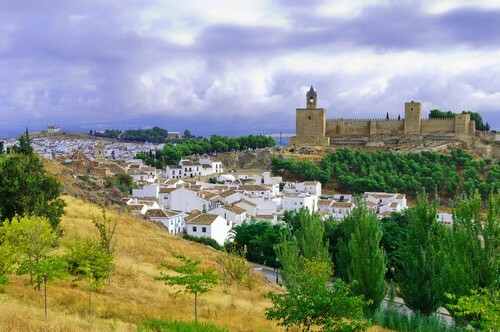 A town with over 5,000 years of history at the cross roads of Andalusia. It is surrounded by a Moorish fortress and has many churches and chapels to discover. With many of the local delicacies of porra antequerana (cold tomato soup) and bienmesabe (cinnamon cake) found on our menu. Perfect in the winter months. 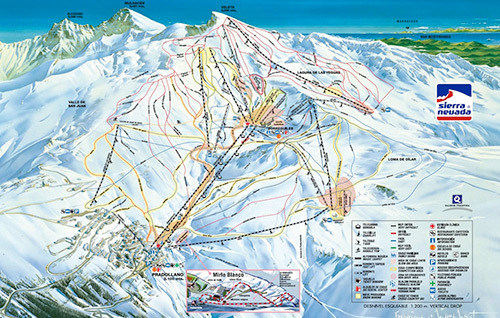 Sierra Nevada is Europe’s southernmost ski resort and the highest in Spain. The skiing season can last from late November until early May. Particularly towards the end of the season you can enjoy long, sunny days of skiing. In recent years the resort has made an effort to increase the number of services it offers, including expanding the Mirlo Blanco recreation zone, which now has an ice rink, toboggans, ski-bikes, mini-skis and a track for wheeled toboggans. In summer you can go walking, cycling, horse-riding and mountain climbing in the area. One of the cable cars and one chair-lift are kept open in July and August, making it relatively easy for hikers to reach the summit of Veleta. On a clear day, you may be lucky enough to catch a glimpse of Africa from the peak of the mountain.